Apple has unveiled its first new gadget in four years, the Apple Watch. The company is billing the device as a health-and-fitness tool with smartphone capabilities. At a much anticipated event in Cupertino Tuesday, Apple also unveiled a new payment system aimed at making it easier to make purchases using your phone, and new iPhones with larger screens. But the watch seems to have upstaged the company’s new big phones. Apple is a little late to the party when it comes to smart watches. Samsung and other companies have had devices on the market for years. But, in typical Apple fashion, the Apple Watch looks a lot better than other smart watches and has some interesting offerings: It can receive phone calls and messages, play music, control your Apple TV, access maps, utilize Apple’s new payment system, access Siri voice command and monitor heart rates. Imagine you are out running and you want to buy a latte. With Apple's new watch, it sounds like you can use a map to find a coffee place, swipe the watch face to buy your latte and then monitor your rising caffeine-induced heart rate. The design has a sapphire glass display, a rectangle face with curved corners, and comes in several watch face and band styles. The watch starts at $350, which is $50 higher than the average smart watch, and its high-end version, which includes 18-carat gold, will go for much, much more. On the right of the watch is a knob that can be used to zoom and scroll through the interface on the display. 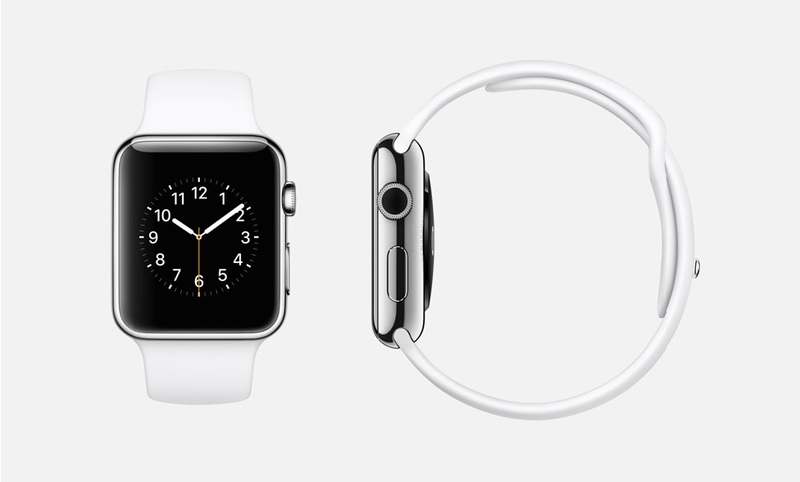 But design is really Apple’s thing so it’s not a big surprise the watch looks pretty good. What is new for Apple is its entrance into the multibillion-dollar mobile health industry. The Apple Watch contains several sensors, including an accelerometer, heart-rate monitor and gyroscope to track your activities. A fitness app will track all your movements and you can customize goals and monitor activities, not that much different from some of the other wearables on the market like Fitbit and Jawbone. Unlike other health bands and smart watches, Apple is partnering with large medical record companies and health care providers as it makes a push into the mobile health care market. Basically, Apple is trying to change the health care landscape the way it disrupted the music industry with the iPod. But sharing health information is more complex than sharing music, and this new step raises a lot of thorny privacy issues. The watch, which has to be connected to an iPhone to take advantage of its capabilities, will be available early next year.